This one's for all of you amazing teachers! Surprise your favorite teacher with a custom gift at the end of the year. 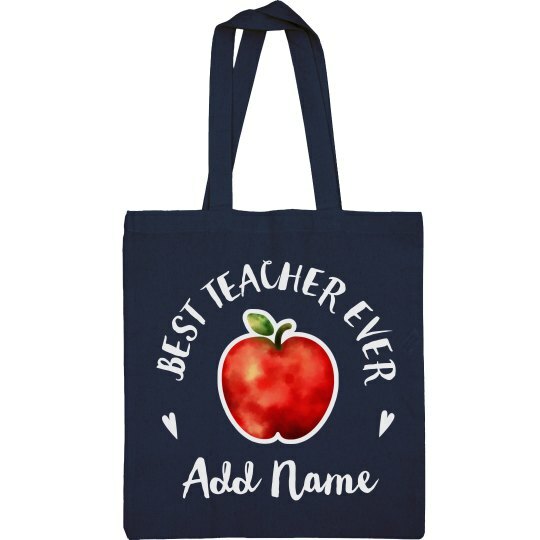 Personalize this cute canvas tote bag that has a big, bright, red teacher's apple and her name!